The keynotes and the announcement at Apple’s gala event WWDC 2018 wrapped up from San Jose, California this last week. Get a detailed overview of the bunch of initiatives like iOS 12 version, ARKit 2.0, Apple Siri enhancements focused on improving the user experience. 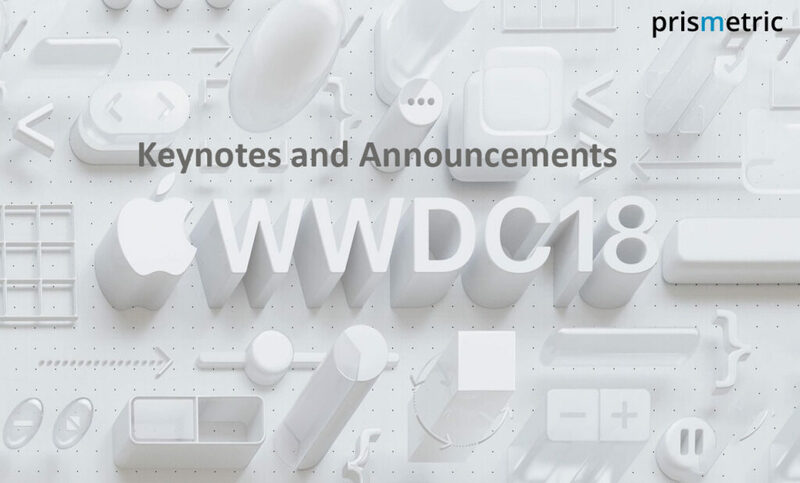 Without much surprise Apple’s special event of the year, WWDC 2018 started with a keynote from Mr. Tim Cook, the CEO and was followed by other Apple engineers to uncover the secretive major updates that will roll out on all the four major Apple’s platforms including- Apple watch, Apple TV, and Mac, and iOS this fall. Saying it a summer software extravaganza won’t be an overstatement. However, the changes brought to the top of the table are not groundbreaking, but palatable to the huge fan base of Apple and locked-in the users in the Apple ecosystem. Contrary to anticipation, like the last WWDC event in 2017, no new hardware announcements dropped like a thunderbolt from the sky. That’s infallible, surprising for the Apple followers, but there is a ton announced at the conference to rejuvenate the user experience on various devices. In order to speed up the things the users do with their iPhones and iPads everyday, iOS 12 version is made faster and responsive with significant enhancements where the app launch time improved by 40%, swipe to camera gets faster by 70%, and keyboard display time increased by two folds. The users using the iOS devices the way back to 5S generation can enjoy the high performance all around. Changing the trajectory in the market, the feature FaceTime is improved that allow 32 participants to audio chat or video call at once. The participants during the FaceTime will get a silent notification and at the later stage, more participants can be added anytime. The photos of all the participants appear as tiles on the same screen and the speaker tile will automatically come at the front and center, which helps in distinguishing which participant is speaking. The users can change their look by using filters or memojis and can leverage text effects, animojis or memojis during the conversation. The new camera effect livens up the chat with immediate creation and sharing of the photos that are filtered, added with animated text effects, stickers and pretty more. Besides, the conversation remains completely private among the participants as FaceTime is encrypted end-to-end. The feature supports audio and video call on the iPhone, iPad, and Mac, and audio chats on Watch and HomePod. The use of animoji makes the conversation exciting and interesting, but Apple has leaped forward with memoji which allow the users to create their virtual avatar that matches their personality and mood with animoji customization. In the endless customization options, it allows the users to set hairstyles, glasses, freckles, and accessories that are mentioned to few. Also, the face tracking, and tongue, and wink detection technology integration make this memojis amazing as the animoji will move the head, stick out the tongue, or wink as the users do. This digital avatar can be used during FaceTime and Message conversation. The SDK update is made to create a total immersion with AR apps where the line between real-world and the virtual world will get completely blurred. Now, the same AR virtual content over the real-world objects will appear on all the devices, which means multiple users can experience the augmented world simultaneously. The persistent and multiuser experience fixed to the real-world location can be shared with friends and even, can be viewed later. The support for the USDZ file format is added to enable the developers to create brilliant animation and AR content for the apps. With 3D object recognition, the objects and the device orientation can be identified to render the best AR experiences. The Measure feature aids in calculating the distance of iPhone or iPad from the object to augment. The AR experiences can be viewed in the other apps like- Mail, Files, Messages, and Safari through AR quick look update. It’s bizarre launch where Apple is itself curbing the device and apps usage. However, it’s not the case. On the flip side, Apple is trying to help the users to not lose track when using the apps. It has become a common phenomenon for the kids where the parents are struggling to track and manage the time spent on the apps. That’s the reason, the new tool showcases the time that users spend using different apps and allow the users to set the time limit for every app. The activity reports can be viewed weekly, or daily anytime. The parents using the family’s Apple ID can set the screen time for the apps that kids use and can monitor the time the kids are spending on the apps. The downtime can be set for the notifications or apps to block, but the exceptions exist where the access to the apps during downtime is allowed. The bombardment of notifications from multiple channels often creates interruptions all the day. For the better management of the notifications in the real-time right from the lock-screen, the new feature is introduced which group the notifications that make it easier to identify what’s important in a single glance. The instant tunning allows users to control the notification setting at the moment they get the notification alert and can even choose to deliver the notifications silently to the notification center. To not let anyone disturb you when you are busy in the meeting or sleeping at home, the Do Not Disturb mode can be activated. The DND mode set for the bedtime automatically dim the display and silent all the notifications for the time until the user unlocks their phone in the morning. The notifications opted for critical alerts will be received even during DND. The DND options are enhanced with the time setting where the users can set the DND to end in an automated fashion after the defined time elapse. The hub of all the memories and best moments captured in the photos or videos will reside in ‘For You’ tab in the photo app that users can view anytime. In addition, the intelligent suggestions are made to enhance the photos and share them with the people who are in the photos. The photo search even gets intelligent which help the users in finding what they are looking for even before they start typing with personalized suggestions for the recent event, place, and people. Moreover, as the users start typing, the query auto-completion suggestions are made which makes photo search more powerful. Also, the combination of multiple keywords is allowed for the best results. Siri makes the suggestions to the users recognizing the daily life activities on the lock screen. For instance, analyzing the weekend food orders, the Siri will recommend ordering the sandwiches from Subway. The users can get the phrases translation in over 40 languages just over voice command. 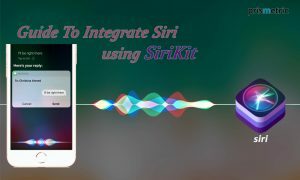 The developers can incorporate the Siri shortcut through the new Sirikit API. The iOS updates always have something in a plan to upgrade security and privacy, and iOS 12 is no exception. With built-in encryption, device intelligence, and other tools, the company ensures the users’ privacy should remain intact. In Safari, the comment widgets and share buttons on the web pages are prevented so the users cannot be tracked without their permission. Besides, the advertisers are prohibited to collect device’s unique characteristics which zero down the chances of getting the device recognized or ads retargeting. The strong passwords will automatically get created, filled and stored in the iCloud keychain for Safari and apps, which can be accessed anytime on any Apple device just by asking Siri. The passwords can be shared from nearby iOS devices. Also, the SMS one-time passcode will be auto-filled that alleviates the need to memorize them. To stop forcing the Apple car owners to use the Apple maps to get the directions and make the CarPlay a better experience, Apple has allowed the users to use the third-party navigation apps of their choice that provides them additional information and makes the mapping easier. It lets the people drive the car with the map on the dashboard that’s more familiar to them. The three apps are redesigned in order to help the users get what they want in no time. The easy accessibility to the Apple book app, the revamped navigation to get the news feed easily, and the stock price view at a single glance alongside business stories draw the user’s attention and augment the user experience. To improve the developers focus on the work, a new look- the dark mode is provided where the subtle dim color shade brings the content into the center of the screen while menus and toolbars moving in the background. The in-built apps are compatible with the mode, and the third-party apps can also choose to adopt the same. The developers can opt for either the new dark mode or the familiar light appearances so that they can work in an environment which is easy on the eyes. Mac has turned into a dynamic desktop with the new Mojave update where the desktop picture’s color gets changed automatically matching the time of the day. All the day, the time-shifting desktop will change that makes it a beautiful place to work as the work environment get customized as the time passes by. Cut to the chase, the chaos which multiple icons and files have created on the Mac desktop is now cleared up with file organization into related sets. Also, the images, PDFs, documents, and spreadsheets are grouped for easier discovery. The files arranged in the stack can be viewed and opened by scrubbing and tapping over the icons respectively. The improved Finder has offered the new ways to search, view and work on the files. The Gallery view lets the users visually identify the file they are looking for by scrolling through the previews. Squarely from the Finder, the quick actions like- rotate, markup, video trimming, and more actions can be taken on the file right in the preview pane without even opening the file. Also, the complete metadata of the file can be viewed in the preview pane itself. Not just the files can be viewed while performing the actions on the files has also become feasible without even opening the app through enhanced Quick Look feature. There is a slew of actions which can be performed on the file and then the file can be shared from the quick look. The photo taken right from the iPhone will automatically appear on the Mac in the real-time just by choosing the insert a photo option in the edit menu. It means the document scanned or object shot with the iPhone will immediately appear in the file on Mac. The Mac app store has got a new interface and a new editorial bent to help the users fine-tune the search for the right app. The product pages are redesigned with new video previews and best reviews. Inspired by the redesigned app store during iOS 11 launch, the Mac has a central discover feed along with featured stories, rich content and autoplay videos on curated apps. Presently, the four apps- News app, Stocks app, Home and voice memos working on the iPhone will now become available for the new Mac version. This way without leaving the desk and digging into the phone, the users can have access to the latest news, recorded voice memos, and stock prices, and can control the HomeKit accessories. The users are no more required to tell the watch that they are exercising. The watch automatically senses that the users have started workout when they begin walking, hiking, or running and give the credit for the exercise done. The new hiking feature lets the users track how high they have climbed, calories burned and elevation while hiking. Not just the score can be shared, while the users can challenge for the competition and earn points for the performance in an activity. During a competition, the users will get the alerts showcasing how ahead of or falling behind the competitor, the score, and how much they need to win the race. The victory in the competition is rewarded with a trophy which resides in a new award tab in the activity app on iPhone. It fuels up the healthy competition for the health. In addition to viewing the notifications on the wrist, the users can respond directly from the notifications, which keeps the users informed and allow them to respond off the bat. The notifications from the same app are grouped together, which enable the users to view multiple notifications in a single glance. The DND scheduling is available to watch to not disturb the users until they want. The old-fashioned walkie-talkie feature has made a comeback on the Apple watch. Now, the users can have a conversation with anyone who has Apple watch no matter where they are. At first, the users need to invite the friends to join and talk with them on the walkie-talkie app. Afterward, with the long press, the audio message can be sent to the friend, and the recipient will get a haptic feedback alert when the message received. Using machine learning, Siri proactively makes the predictive suggestion to the users at the right time and place recognizing the user’s routine. The need to repetitively say ‘Hey Siri’ is ended every time when the user asksSirifor something. Also, Siri works with apps on the watch, which implies the users will get what they want just right at the moment they want. The Apple TV that has already raised the bar with HDR is now ready to thrive the users by combining Dolby Atmos compatible sound system with TV. The 3D audio with pinpoint precision will bring the cinema experience at home with total immersion. The first streaming player in the world needs to be both Dolby Vision and Dolby Atmos certified. Apple has teamed with the world’s leading TV networks and broadcasters to stream the live channels and apps like- Netflix, ESPN, NBA, MLB, CNN, YouTube TV, Sling TV and Amazon prime video, which users like the most. In addition to watching the favorite channels live, the users can browse the videos from over 60 video services without going back and forth from one app to another. The recommendations for the movies shows, and apps are made based on users’ TV watching patterns. The need for typing to find out the movies, shows, songs or actor has gone away with Siri. The users just ask and Siri starts the channel that users want to see and even when the users are confused, Siri offers the recommendations based on the content users browse or see frequently. A week-long Apple event is filled with exciting experiences where the leading Apple engineers showcased the updates coming to all the Apple platforms in over 100 technical sessions. The new additions and tweaks to the features have opened up new opportunities for the expert iOS developers’ to experiment and build the next-Gen apps. Apple conference has brought incredible ideas embracing advanced technologies and now it’s developer’s turn- how they take these big revelations of the year to make a great hit or miss. He loves challenges and adept at finding tech-solutions that complement business ideas. He strives to leave no chance for glitches in his implementation. 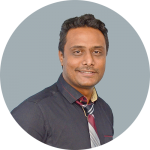 He incorporates his extensive experience in his writings about new gadgets, tech stories, updates and innovations in technology, management tips, and inspiring app technology related information.